On the 3rd of September in Castelmezzano, Italy, opened Outer edges of some buried age. 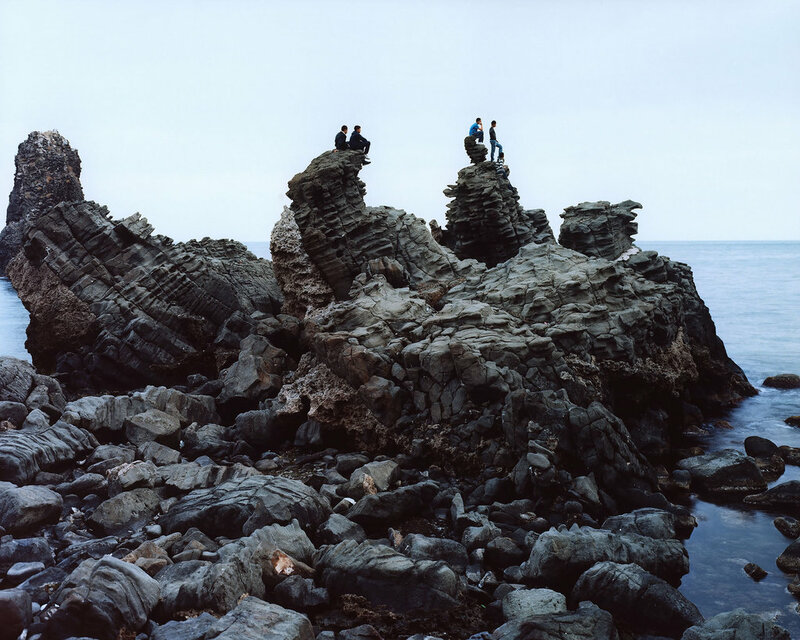 An exhibition curated by Chiara Capodici and Fiorenza Pinna featuring the work of photographer Domingo Milella. The exhibition takes place at Palazzo Coiro, an old aristocratic palace in the centre of the village, and it is visible only by daylight. 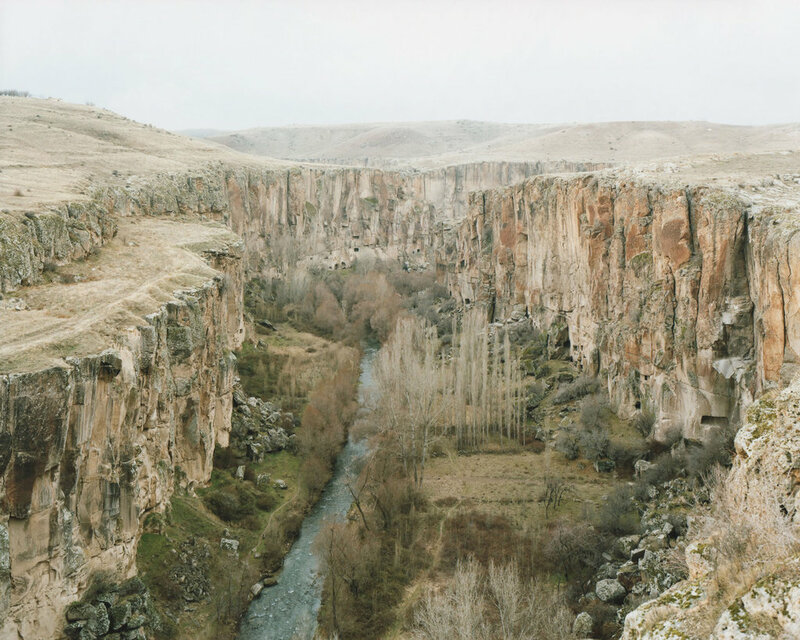 Outer edges develops around the concept of landscape, identity and memory referencing Pier Paolo Pasolini’s notion of Post-history as the acknowledgement of an inevitable clash of ancient and modern times in a society that is slowly losing any sense of community and belonging. 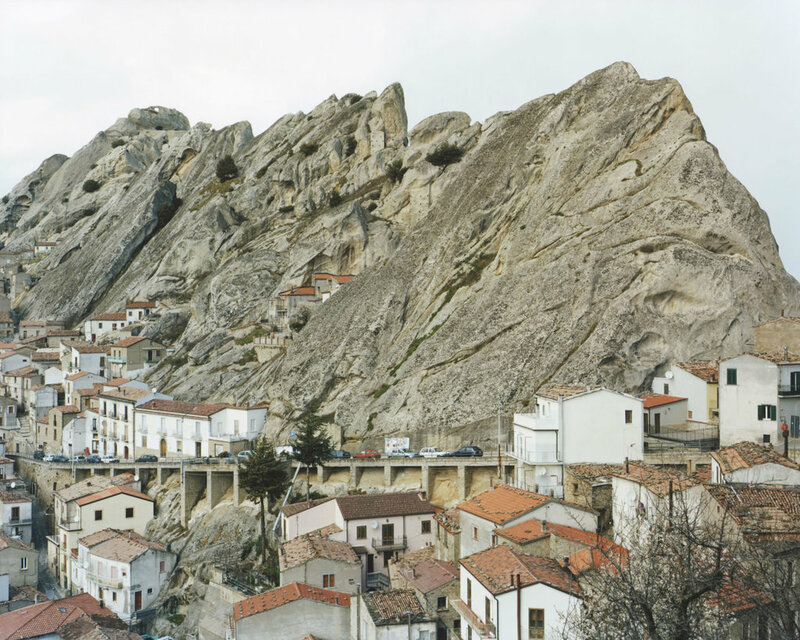 This site-specific exhibition moves from a study on the identity of the village of Castelmezzano and reaches out to the countries and the populations that settled along the coast of the Mediterranean Sea—Italy, Egypt, Turkey, Greece—and Mexico in search of territories marked by a similar ancient history and cultural experience of the landscape. 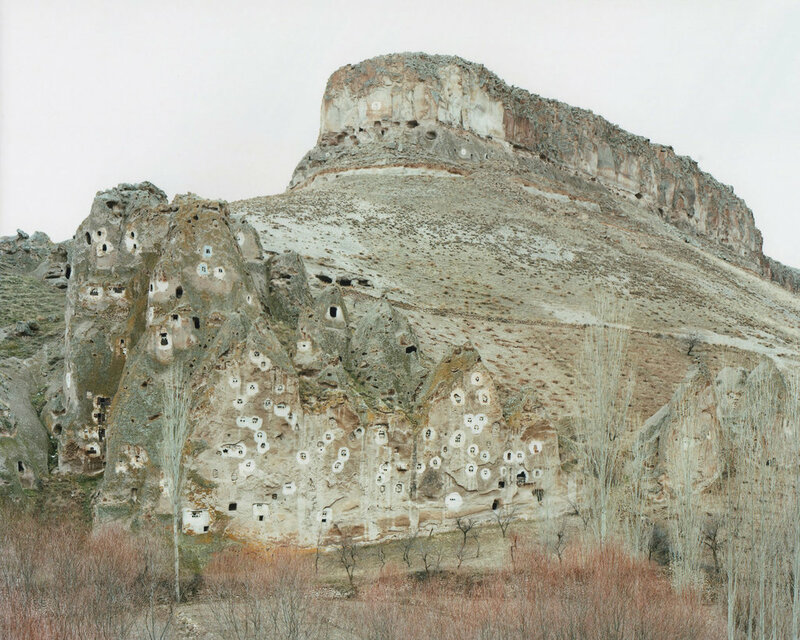 In his journey Domingo Milella explores and compares the different expressions of a sense of belonging and community which leaves a legacy that, impressed on the stones, determines the face of the landscape. 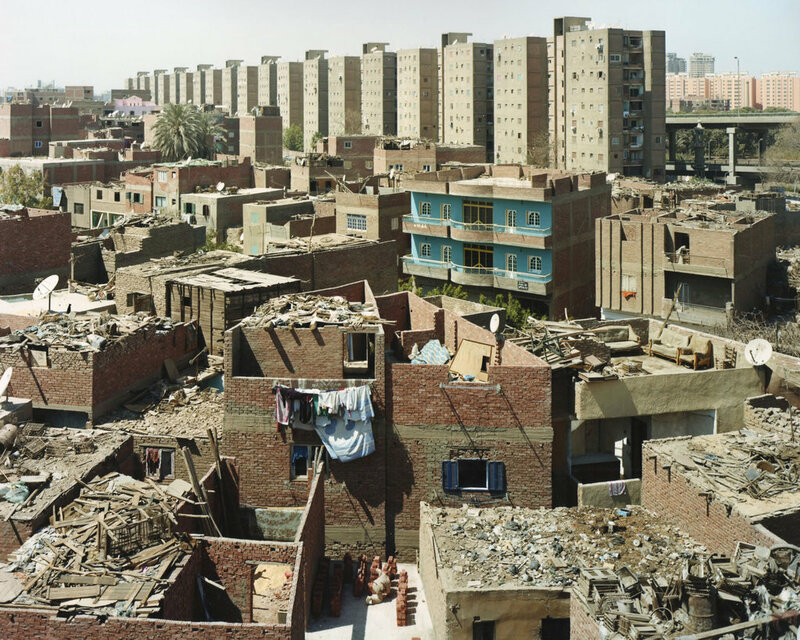 Territory and identity are considered part of a collective history and memory that connect these cultures throughout the globe. 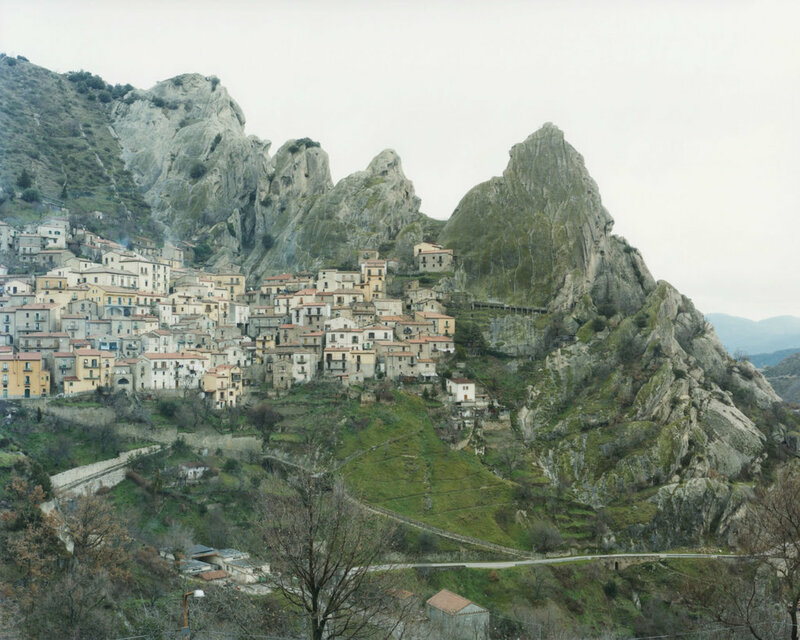 Domingo selects specific places and stories following a fil rouge that takes him on a historical pilgrimage from Castelmezzano to Mexico via the regions of Southern Italy and the Anatolia. 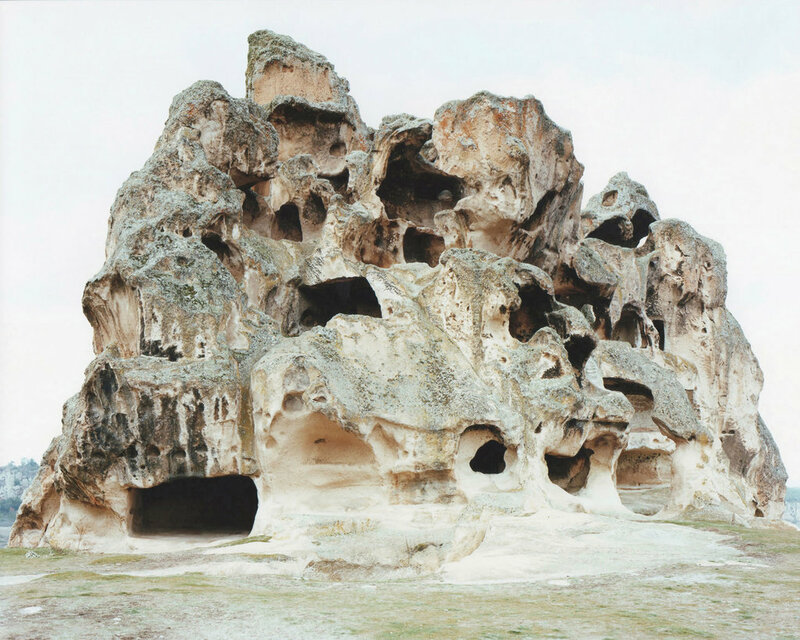 The images of the rupestrian settlements in Phrygia, Cappadocia, Giza, Polignano, or Mexico City all reveal how deeply intertwined the relationship between man and nature has been over the years. 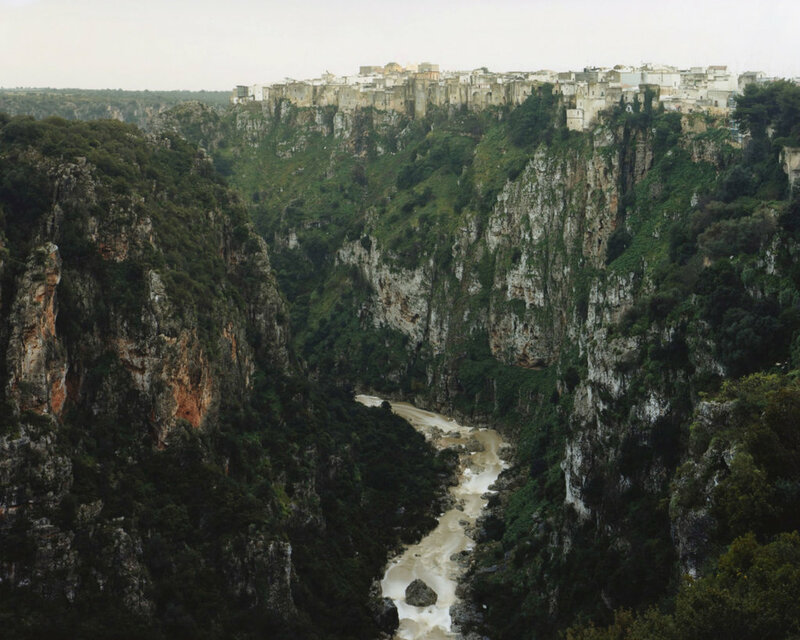 The Arabs took advantage of the natural architecture of Pietrapertosa to preserve the safety of their community. They used to take refuge in the hole of the mountain that overlooks the town—after which Pietrapertosa was named—to observe without being seen. Similarly, the image of the Tomb of Midas depicts the encounter of nature with archaic and modern civilisation. The tomb, as a symbol of the myth, is carved in the stone while a person holding a digital camera stands in front of it photographing the monument. 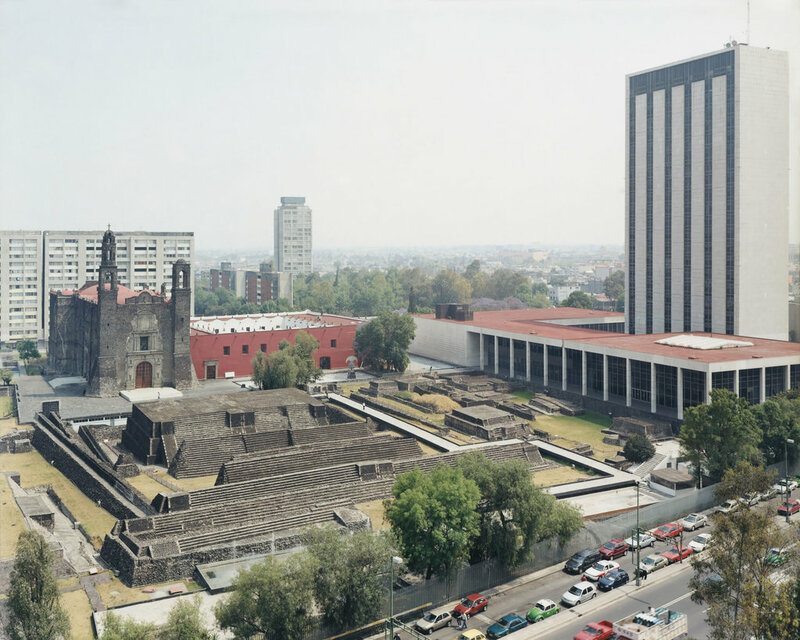 Lastly, Mexico City which is represented as a crossroad of three different cultures—the Aztec, the precolonial and the modern state—all of which indelibly imprinted their own identity onto the face of the city. The interventions of man shaped the landscape the same way as the landscape influenced the development and the identity of the society. 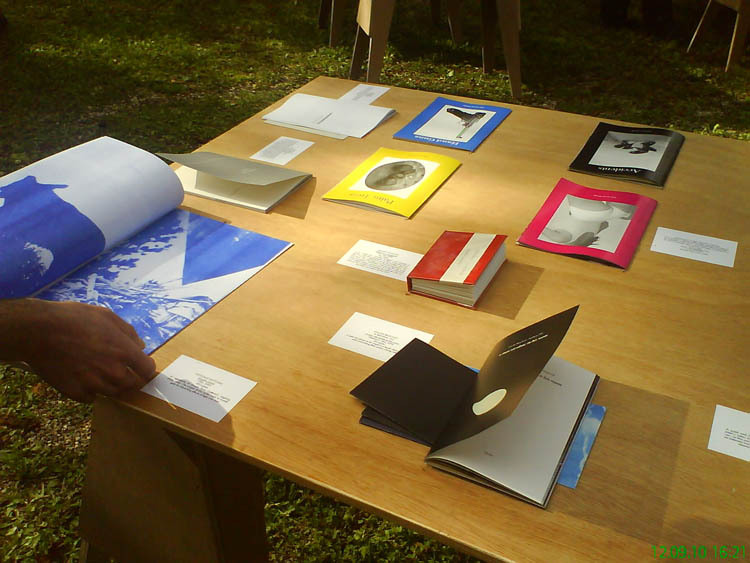 Laurence Vecten shows her selection of books, compiled in a catalogue. This year PiY is focusing on artists Preston is my Paris, their work and publications. une exposition de livres de photographie auto-publiés. PiY a lieu les 9, 10 et 11 Septembre 2011 à la Maison d’art Bernard Anthonioz, à Nogent sur Marne. Laurence Vecten y présente une sélection de livres de photos auto-publiés, consignée dans un catalogue. Dans cette deuxième édition, l’accent est mis sur le travail et les publications du duo d’artistes Preston is my Paris.